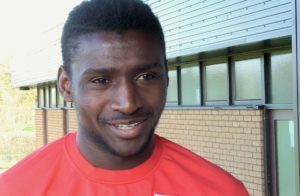 Bristol City youngster goalkeeper, Alhaji Sesay, says he was keen to help the Sierra Leone national team; Leone Stars qualify to the 2019 African Cup of Nations in Cameroon. The 19-year-old shot-stopper could make his Sierra Leone debut in Sunday’s AFCON qualifier against Ethiopia, and he wants to contribute in ensuring the country returns to the African football showpiece once again. Sierra Leone last played in the African Cup of Nations in 1996 and has since struggled to qualify for the tournament but the debutant hopes to help end that jinx. He said: “I am hoping to help my country qualify for the Africa Cup of Nations and the next World Cup because we have never qualified for the World Cup. Sesay is delighted to get his first call-up to the Sierra Leone national team, and he is amongst few others who received their first call to the team ahead of the Ethiopia clash. “I am looking forward to be the number one goalkeeper for my country. The call up means a lot,” the 19-year-old said. For the young goalkeeper who will be up against France based Solomon Zombo Morris for the number one spot, the call-up will help him develop his football career. “This will help develop my career. It’s a big and massive experience for me. It will help both my national team and club career. Sesay is yet to make his first-team debut for Bristol City but trains with the first team but has played for the under-23 team. The Bristol goalkeeper is one of the three England-based players called to the Sierra Leone national team along with Amadou Bakayoko of Coventry City whose availability is now doubtful and Osman Kekay of Queens Park Rangers.